This American series that came on the Fox network in 2002 is a Sci-Fi drama series. Have you watched this one? I watched it, and although I know I'll gets lynched by many many Joss Whedon fans, it okay but that's it. I haven't watched this yet, but I must as I keep hearing referrals to it. Got the DVDs out of the library once, but never got around to watching them. Actually I love Nathan Fillion and loved him in Castle and a film called 'Waitress', with Kerry Russell in it too. Love that film. The director died of cancer after it was made. I have heard firefly mentioned up there with very good quality, cult tv shows such as Game of thrones, arrested development and more HBO shows. 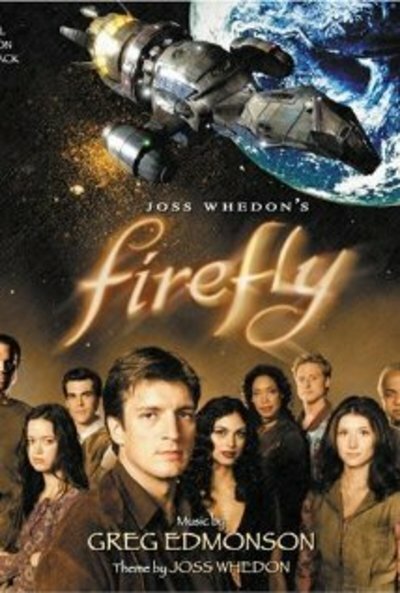 Firefly will be on my watch list for a week's leave, next week, now. Got to see this show. I've seen bits an pieces, but never a full episode. I watched it. It was just another predictable shoot-em-up set in space. It wasn't helped by crudely applied political correctness.